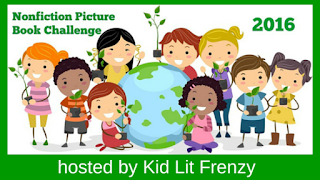 Thanks to Alyson Beecher's Non-Fiction Picture Book Challenge at Kidlit Frenzy! 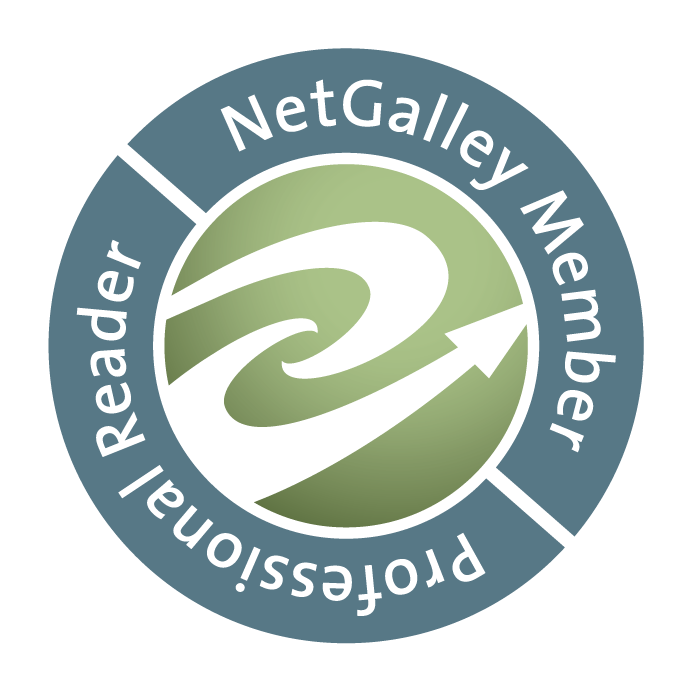 Come read to discover everyone's recent nonfiction picture books. 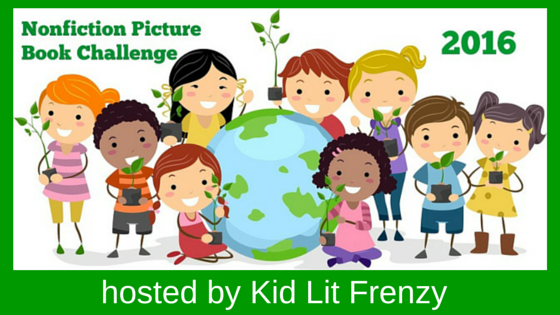 Today I'm sharing the top five books that I believe are the contenders for the Sibert award. I haven't read all possible, but have read many. Here is Alyson's post that explains the criteria. The awards will be announced next Monday! And here are the final ones I've read this week as contenders, books by terrific authors and illustrators. The family of one little girl, unfortunately for her, doesn't have dogs or cats, bird or fish. 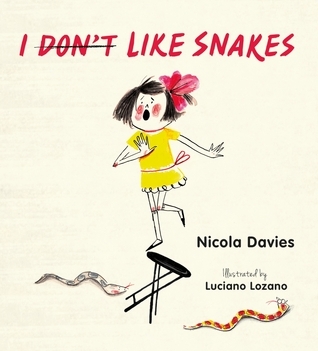 They have snakes, and she tells them emphatically: "I really, really, REALLY don't like snakes!" Mom, Dad and brother can't understand why, so ask her, "Why?" As she lays out her reasons, each responds with the facts, and each page adds to that information. Davies manages a fun conversational tone with the girl's complaints and the enthusiastic and clear explanations. And cartoon-like sketches add to the information. The reader learns that snakes really aren't slimy, have dry skin, but it's a shiny, see-through outer skin. There are pages about the kinds of eyes, how snakes hunt and eat, and extra information at the back, including an index and bibliography. I learned some things about snakes, and for those who want to know the basics, this is a book to start with. Sayre's beautiful and rhythmic words enhanced by Jenkins' collages offer lots of information in the brief words Here are rhymes and pictures that will cause more wonder. The answers are given in the extensive back matter about each topic. For example, Sayre writes "Spring sap rises./Who will drill?/Sapsucker, sapsucker,/sticky bill." Additional information is given about Sap and woodpeckers in the back, and there is much more that explains other topics about woodpeckers. I have never heard of this unusual and wonderful artist, one who loved to make things even as a child, and grew up making all kinds of statues displayed at her home, once a cabin where she and her parents spent summers. The book gently tells the tale of Mary's growing up, how she loved to make things, loved art and dogs, and traveled over the world where she sketched what she saw. Additional parts of the story are told on a page at the back. The illustrations are both from a wide view, or close-up, realistic depictions of parts of Mary's life, including a special vertical double-page of one of her whimsical sculptures. 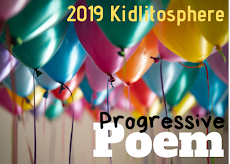 My five predictions for the Sibert Award. I looked at the previous winners and knew many of them, so thought about what was good in them. It is challenging to judge among so many. You're brave to choose 5 and put them in print! LOTS of possibilities this year. Will be excited to see if you are right, Linda! I think 'favorites' came into my decision too, Jane. There were so many wonderful nf books this past year. None of mine connected with the other two who also shared a list. We'll see! Thanks! I'm much better at choosing titles I think should win, rather than those I think will win. Awards are such a funny thing, really - a group of adults choosing the best books when really they aren't part of the target audience at all. Sometimes I feel the winners are spot on, other times I wonder if anyone on the committee had ever been a child at all! So, we'll see who takes home the gold this year! Jane, I know what you mean, & sometimes those chosen aren't so popular, but many are. I'm excited to see all the awards for sure! Thanks! And Annette, I think that some of the books don't fit certain groups. In my years of teaching, I had students read and love a broad variety of books. Sometimes I could not guess what would be the next coveted one. I'm still not familiar with the Sibert and so I can't make a prediction but Drowned City seems to be making the cut. I've never thought about it until Alyson shared about it, Earl, but now I'm reading the books from that criteria. Last year's was The Right Word-such a beautiful book. I loved Drowned City, thought it was done so well. 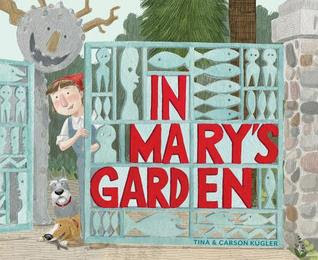 I think In Mary's garden is a fantastic title too Linda! I also loved A Bird is a Bird! I have Drowned City on request at the public library! I was fascinated by In Mary's Garden & have looked for more books about her, Carrie. I'm not sure about A Bird Is A Bird, really, but for beginning learners, think it's a priceless book. Hope you enjoy Drowned City, although reliving that time was awful, too. We are on the same wavelength, Linda. I will be featuring I Dont Like Snakes soonest! 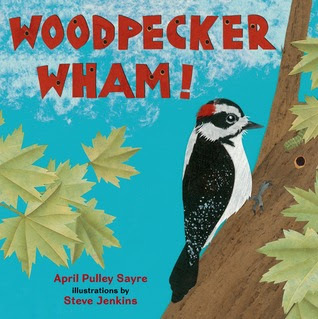 I pinned Woodpecker Wham as it looks like a book that we could add to our bird-themed bibliography. Yes, Woodpecker Wham is a good one to add, Myra. Will look for your review of I Don't Like Snakes! I have a few Nicola Davies titles to read (I haven't read any by her yet), so I look forward to diving in. This one looks great as well. It's an interesting book, Kellee. I'll look forward to seeing what you think of it.